Arvinda’s Indian Spice Blends is an all-natural line of cooking masalas and unique spice blends derived from family recipes. Arvinda Chauhan developed these spice blends to help time-pressed home cooks prepare quick and easy authentic Indian meals. She initially sold her curry masala to her cooking school students in small pouches and jars, and soon her unique blends gathered a loyal following. Arvinda’s blends are all gluten free and contain no oils, additives, preservatives, dairy, nuts or MSG. Since 1993, spice girls Arvinda and Preena have been serving up a variety of premium Indian cooking classes. Voted by blogTO one of the top 10 cooking schools in Toronto, Arvinda’s healthy, easy-to-follow recipes make it easy to create home-style Indian meals. And check out the online video demos of classic Indian recipes! Arvinda’s also leads guided walking tours of Little India. Arvinda’s Spice Blends are available online and at retail stores and specialty food shops across Toronto. 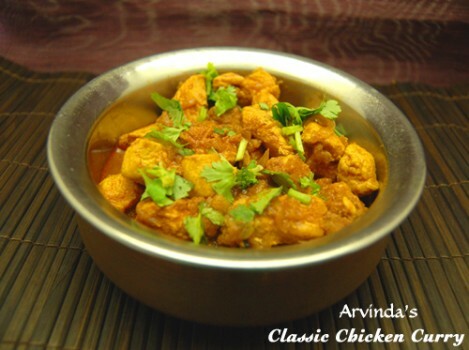 You can also spice up your life with Arvinda’s at the Gluten Free Garage on November 11th! In a large pan, heat oil on medium-high. Add Arvinda’s Whole Spices. Fry until spices sizzle and slightly brown. Add onion and caramelize until golden brown, approximately 10 minutes. Add tomatoes, stir and cook for 2-3 minutes. Add Arvinda’s Curry Masala and mix for 2-3 minutes until masala paste is thick. Add chicken pieces and coat with masala paste. Cover with lid and cook chicken on low heat for 10-15 minutes. Add water and then salt, to taste. Simmer until chicken is cooked. Garnish with cilantro and a sprinkle of Arvinda’s Garam Masala. Serve with basmati rice and a salad. 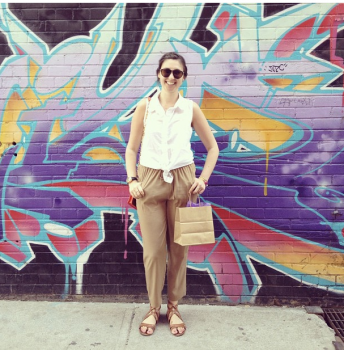 Posted in GFG exhibitor!, Guest blog, Products we ❤, Tummy love.